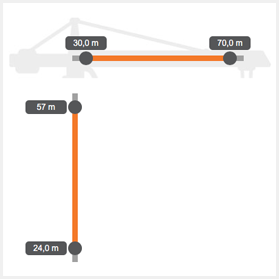 BAUKRANE COMPREHENSIVELY SUPPORTS ANY PROJECT. WE ARE THERE WHERE SPECIAL LIFTING EQUIPMENT IS NEEDED TO CARRY OUT ALL KINDS OF CONSTRUCTION AND ENGINEERING PROJECTS. 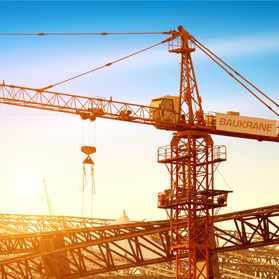 We “handle the challenges” of our customers by providing them with professional advice in the selection of specialist construction equipment that is tower cranes. 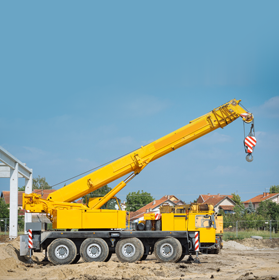 We have a wide range of various types of cranes, which we constantly expand and upgrade. We are there where you need professional and proven lifting equipment to carry out all kinds of construction and engineering projects. 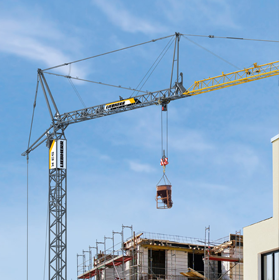 Our fleet includes LIEBHERR construction cranes, which is the world market leader. They are characterized by reliability, the strongest construction and the possibility of matching a tower. We provide regular technical inspections and maintenance through our professional and experienced service team. In this way, we are positive that we provide you with efficient, safe equipment. And thanks to the qualified staff of operators, we offer reliable and professional performance of tasks entrusted to us at the construction site.